Maison Miele, home available for sale in Friis Bay. MLS 18-337. The real estate market in 2018 was quite a bit better than 2017. Sixty homes were sold on our MLS compared to thirty-eight in 2017. In 2017, one home sold for over $3M and just one between $2M and $3M and nine between $1M and $2M. In 2018, one home sold for over $3M, seven between $2M and $3M and seventeen homes for between $1M and $2M. Land sales also showed improvement with nineteen parcels sold in 2017 compared with thirty-two in 2018. One sale in 2017 was between $1M and $2M and eight were between $100,000 and $500,000. In 2018 one parcel sold for between $2M and $3M, four between $500,000 and $1M and 15 between $100,000 and $500,000. Condo sales were the same with five sold in both 2017 and 2018. We are seeing more new listings hit the market daily. Visit our website to see what is new or contact me (paige@islandiarealestate.com) today to find out how you can receive automatic email updates direct to your inbox. Image courtesy of Christian Wheatley Photography. 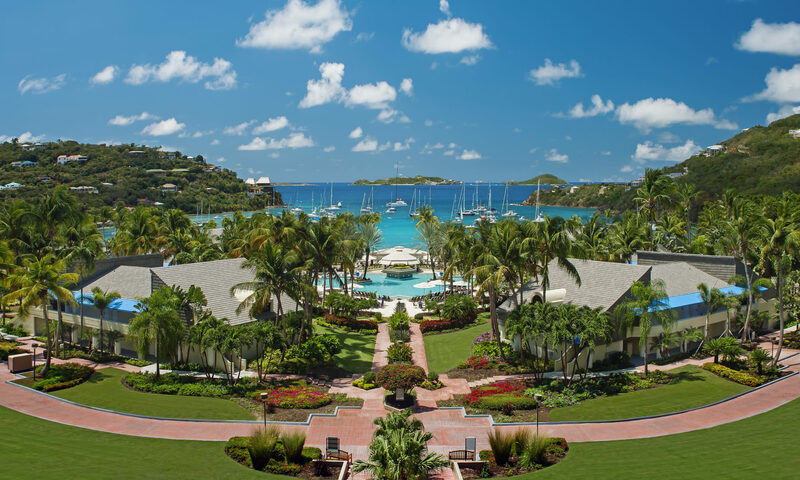 St. John has recovered nicely in the past year and continues to move forward with most restaurants and rental villas up and running. The Westin reopened its doors on January 4 and the influx of visitors has been more than welcomed. The island’s landscape has bounced back and continues to fill in looking like its old self. 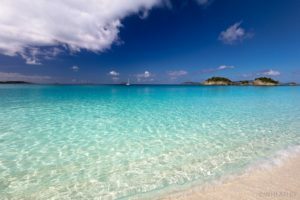 The beautiful beaches are just as inviting and continue to be enjoyed by residents and visitors alike. On your next visit, you will see deer and donkeys roaming the North Shore road just as you have in the past. 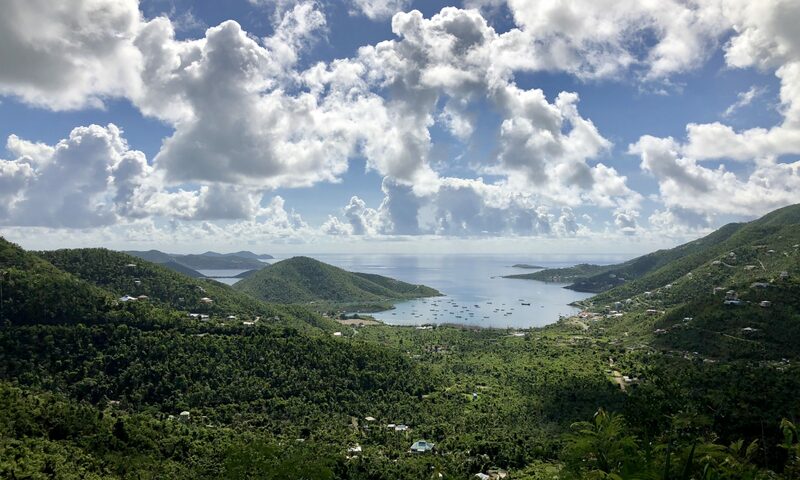 Friends of the Virgin Islands National Park has welcomed a new president as Joe Kessler steps down and takes on his next adventure. The organization recently hosted its annual gala (after missing last year) and it was a great success. The St. John School of the Arts is working hard to provide interesting and educational programs, keeping students engaged in the arts and the community involved. In fact, they recently hosted a fundraiser that took many patrons to see the musical Hamilton in Puerto Rico. The school’s other fundraiser, ‘Broadway Comes to St. John’, will be happening this year sometime in April. Image courtesy of Mongoose Junction Facebook page. While most of Wharfside Village still remains closed, the shops and dining options at Mongoose Junction are booming. The Bajo el Sol art gallery has moved into the old Bougainvillea space below the Gecko Gazebo allowing for more art and foot traffic. The popular Made in St. John t-shirt shop has reopened. Your old favorites are still there and doing quite well, Sugar Birds, Portico, Bamboula, R&I, etc. The hardware stores are fully stocked, concrete trucks and flatbeds with construction materials are seen daily working hard alongside local contractors rebuilding homes on the island. We now have three car barges operating regularly assisting the transport of materials and people between St. Thomas and St. John. The people ferry that operates between Cruz Bay and Red Hook has resumed its regular schedule running boats until midnight. Inter Island Boat Services has brought back its downtown ferry service between Cruz Bay and Crown Bay. 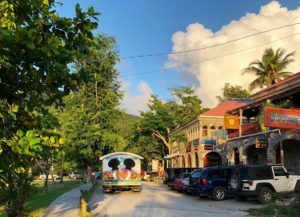 The St. John Community Foundation and other nonprofits such as Love for Love City Foundation and Love City Strong are continuing to develop and work through a long term recovery plan for St. John. Another updated fixture in Cruz Bay is the completely rebuilt Islandia Building where our real estate office now occupies the entire top floor. The Lieutenant Governor’s tax office is still located on the second floor and the first floor is being outfitted for the relocation of the St. John branch of Merchants Commercial Bank, scheduled to move in April 2019. With our office in the penthouse now, we have an amazing view of Cruz Bay over Pillsbury Sound. When on island please feel free to stop by! We would love to show off our brand new space and discuss all things real estate and St. John with you. We now have six full-time agents in our office including our newest Realtor, Jennifer Gibbud, who grew up on St John. Still with us is owner Nick VanAssche, Merry Nash, Lynn Giovanna, Marty Beechler, Paige Cope, and our front desk manager, Sarah McCool. Great update! Thank you for the info. St. John is a beloved place for for many, magical for us. My wife and I hope to visit this year (2019)!